Monday, 4 February 2019, 4:52p.m. 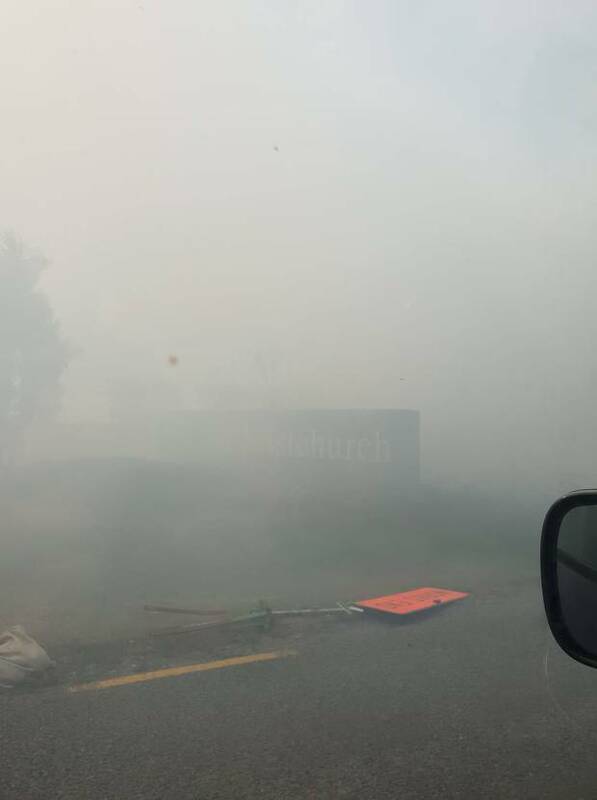 Emergency services have been forced to close State Highway 1 in Templeton, near Christchurch this afternoon following a large fire. The blaze was ignited by a passing train and large volumes of smoke have subsequently blown over the highway, forcing its closure. NZ Transport Agency said motorists would have to follow the directions of emergency services on scene to get around the blaze. A spokesman for Fire and Emergency New Zealand said multiple crews are at the scene working to extinguish the blaze. Meanwhile, two helicopters have been dispatched in North Otago to battle a large fire on Broken Hut Rd, near Omarama this afternoon. However, both helicopters were temporarily grounded after a drone was spotted flying in the proximity. A person close to the operation said the helicopters were grounded for about 20 minutes and police had been notified. Neither the drone nor its operator had been found, they said. The helicopters were deployed to help battle the large blaze in Broken Hut Rd, south of Omarama, which sparked about noon. Fire crews were first alerted to the blaze around 120km west of Oamaru around 12.20pm and about 20 firefighters are on the scene. FENZ shift manager Andrew Norris said crews from Omarama, Twizel and Kurow were struggling to contain the blaze, which had destroyed a hay barn and spread to surrounding trees. Additional reporting from the Otago Daily Times.